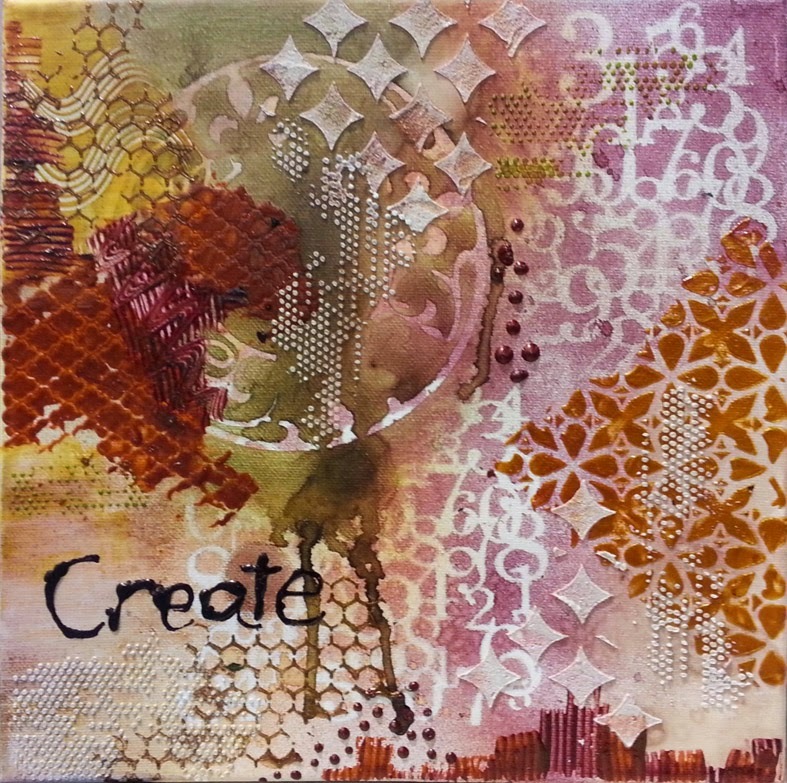 scrappin it: Mixed Media Canvas - "Layers of Color"
Mixed Media Canvas - "Layers of Color"
Sometimes all you need are a few stencils and paints and you can create an amazing work of art full of colors and shapes. If you are not the artsy type and you want to get your legs wet and your fingers dirty this is the easiest way to get started with 12X12 canvases. It's all a matter of coordinating your color palette and using the right kind of stencils. The right kind of stencils is not necessarily by a specific company, or in a specific size, what matters is the pattern, the shapes on the stencils and their size. The idea is to layer different patterns and different colors and create a rich design. Start with the lighter, palest colors as background and add bolder colors on top of them. if you want to keep layering more texture and patterns add lighter colors with large patterns on top of the stronger colors so they will stand out. There is no right or wrong here. Just start and have fun. Always remember that if you don't like the result you can cover the entire canvas with white gesso and start again! Very pretty example. It makes me think of the colors of fall. I like how the brown drips.